Start in the morning from Salzburg, feel and see the Salzkammergut (where salt resources can be found). 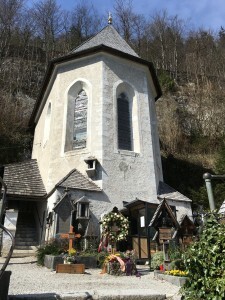 After arriving at Hallstatt, you will see the oldest still operative salt mine in the world. You will enjoy a ride with a funicular to the mountain above Hallstatt where you will enjoy breathtaking views and the old celtic fields. Then you will get a special suite to go not the mine where you will go on the original paths of the celtics and the miners. 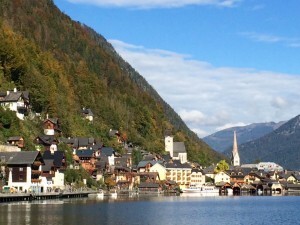 Enjoy then a visit of the town of Hallstatt and enjoy free time in the world cultural heritage sight Hallstatt village together with be special tours in a day trip. The Celtics influenced this area already thousand of years ago and their relicts can be still found. Their culture has still some influence into nowadays traditions and folklore. Realize and feel this still alive in the area of Hallstatt. the village of Hallstatt has been preserved for centuries. The buildings and structure is still untouched and unchanged. Enjoy also the ride through a wild and untouched nature during the ride to and from Hallstatt and learn more about the power places of the Celtics, their traditions and mystical places, like the water falls of Golling, or the reconstruction of a Celtic village in Bad Dürrnberg. Enjoy all of these places together with be special tours in a day trip. After your pickup in the city of Salzburg we are going to have a drive through the countryside of Salzburg where you will see the breathtaking nature in a perfect symphony of water, mountains and nature. We will pass important small towns and towns that show the wealth and joy of former times. In Hallstatt you will take a funicular to the entrance of the saltmines which contain the oldest staircase of the world. 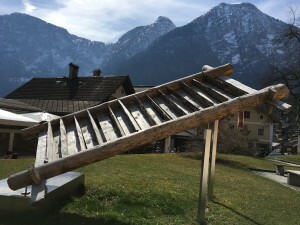 After that you will visit and stroll through the village of Hallstatt where you can see this old miner’s town with the only active bone house in Austria and you can enjoy some typically food and drink in this world cultural heritage area. (Entries and food are not included in the tour price). Within this tour we will give you more inside stories and backgrounds about Hallstatt and the saltmines and about the celtic culture and their life style. The tour includes the drive from Salzburg in a comfortable vehicle to the lake district area, where you will see the lake of Fuschl, lake of Wolfgang and from there to the village of Hallstatt (saltmines and village break depending on the season and weather). In the afternoon hours we return through the area of Gosau and Abtenau to either the waterfall of Golling, or the Celtic village reconstruction at the Dürrnberg mountain (depending of weather and time) and back to the town of Salzburg. Entry fees for the salt mines or other activities are not included. This tour will bring you to the most famous locations within the heart of the mountains and a world cultural heritage. On the roots of the celtic people who settled in Hallstatt for the first time at about 5000 years b.c. and you will feel the culture still now. Throughout history of Romans and others used the salt as a trading tool and Hallstatt is the only city in Central Europe that can proof a continued settlement that is still going on. See the celtic fields, their living and burial places and see the unforgettable city of Hallstatt that proofs it’s history and it’s heritage. It will be a special experience to have a look, touch and feel the history, the nature and the life of the people that have been living in this region and that are keeping their culture and heritage alive. 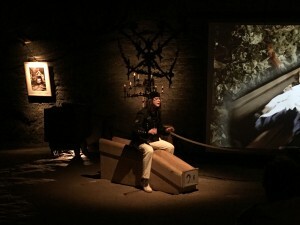 In the saltmine, you can have a look at the original staircase found in the mine of Hallstatt. Well preserved by the salt it is still here for you! The old styled architecture that has not changed throughout centuries – the new economy of tourism – You will find everything in Hallstatt. Following the old footsteps of the celtic people that used to live here you will find relicts of all different times, like prehistorically times, the roman time, the middle ages and the centuries until now can be found in Hallstatt and make it possible to see all that in one place.